As a cycling coach and medical doctor you have many niches to master. Nutritional advice is just one of them. In the past years, I have had several requests from road cyclists and triathletes about nutritional advice and strategies to achieve optimal racing weight and performance. It seems like many athletes tend to ask very specific questions and get lost in all the different advice and products available. So cooking the knowledge into scientific-based recommendations is challenging. And picking the essential advice from hundreds of different studies of varying quality into useful, pragmatic guidelines is even more challenging. Matt Fitzgerald, a journalist with solid insight into endurance training and nutrition has written a book that is highly recommendable. It’s called ‘Racing Weight’ and represents a serious introduction to the available knowledge about nutritional strategies for endurance athletes. One of the things I like about this book is its pragmatic approach to sport nutrition. It’s not just another attempt to become the sport nutrition bible. Instead, it has a very practical and useful approach to make understandable tools and concepts that actually work for athletes. Throughout the book Fitzgerald refers to many professional athletes and use their approach as ‘golden standard’. In other words: If a world class endurance athlete uses one nutritional strategy, he is probably doing most things the optimal way. So when african runners are some of the fastest long distance runners in the world, you shouldn’t tell them they eat wrong. So in this book, Fitzgerald introduces his own concept to appetite control and weight management. Yes, almost every book about nutrition has it’s own route to success. Nevertheless, I think the tips to control diet are reasonable and well argued. Also, he keeps telling the differences between serious endurance athletes and regular people that want to lose weight. It’s a different situation and so it should be attacked differently. Losing weight only makes sense as long as it equals better performance. Even though I like the pragmatic concept to set world class athlete as ‘golden standard’ for what works, I believe it’s wrong to completely ignore the fact that doping is an integral part of world class endurance sports. History has shown that many of these athletes have used methods that not only improve endurance using injections of EPO or blood transfusion, but also several drugs that manipulate body composition over time – for example insulin, growth hormone, testosterone etc. The overall impression of this book is very good. The recommendations presented in this book make good sense with what I’ve previously studied about nutrition. So if you want nutritional advice with a slightly scientific touch, I believe Fitzgerald has done an excellent job to cook down many different tips into digestible, practical recommendations for endurance athletes. 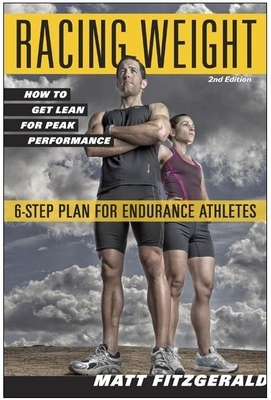 You can purchase a Kindle or physical edition of Racing Weight at Amazon.com. When Should You Start The Winter Season?